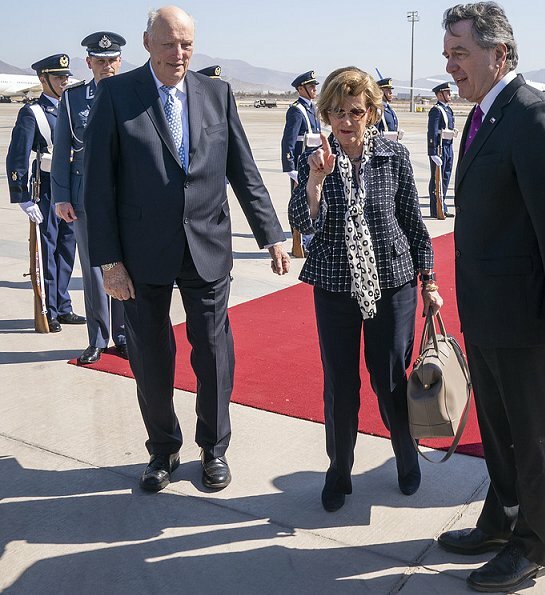 Norwegian King Harald V and Queen Sonja are making a state visit to Chile on March 26-31 upon the invitation of President of Chile Miguel Juan Sebastián Piñera. 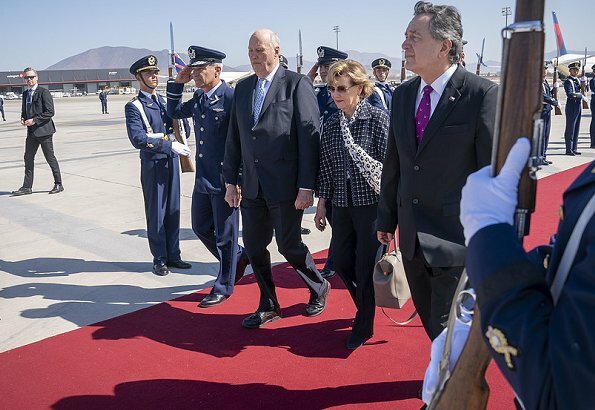 On March 26, 2019, King Harald V and Queen Sonja of Norway arrived in Santiago, the capital of Chile together with an official delegation in order to attend events and make visits within the scope of celebrations relating to the centenary of beginning of international relations between Chile and Norway. All royal house holds of Europe seem to be on a state visit to South America or the Caribbean! yes, and this time they all change their war armors for casual clothing! 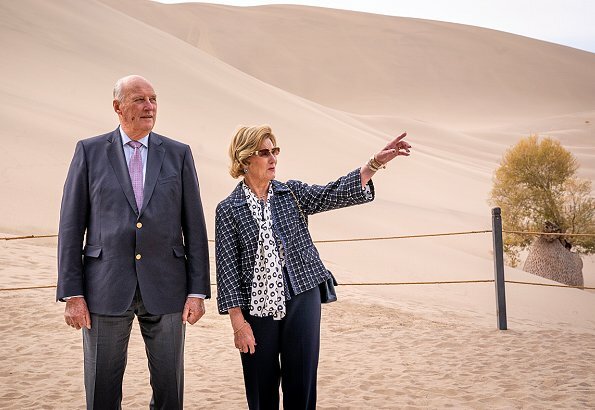 Queen Sonja looks perfect for a woman in her 80s . She is fit and elegant as always. Well here we go again, one RF leaving a nother one starts a visit. Great so we have lots of pics to look at.I must say Q.Sonja looks great, nice to see them all.